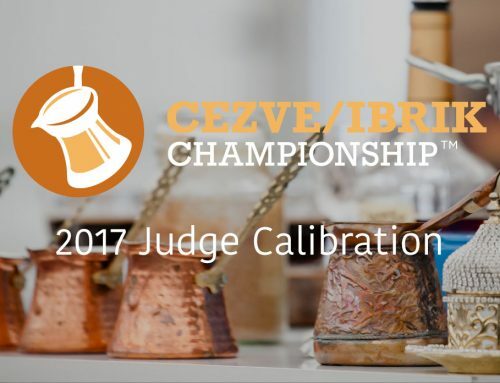 Congratulations to Slava Babych, representing Ukraine, who has become the 2018 Cezve/Ibrik Champion! 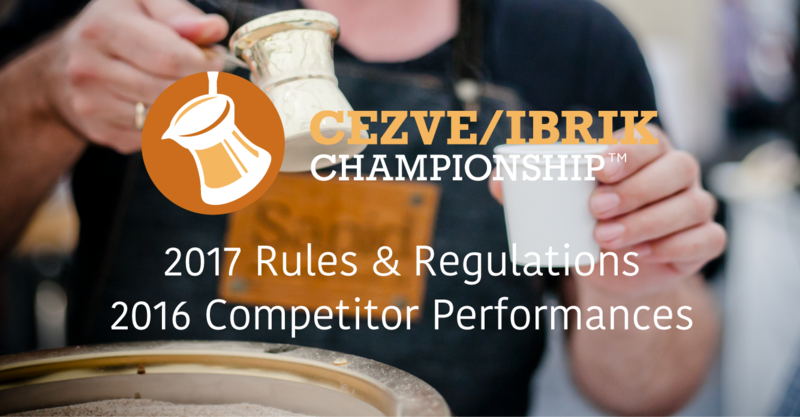 Over three days, we’ve seen some great performances from seven coffee professionals in the Cezve/Ibrik Championship. The final ranking also included Marina Khuyppenen, representing Russia, who placed in 2nd, with Koray Erdoğdu representing Turkey in 3rd, and Sumit Shrestha representing UAE in 4th place. 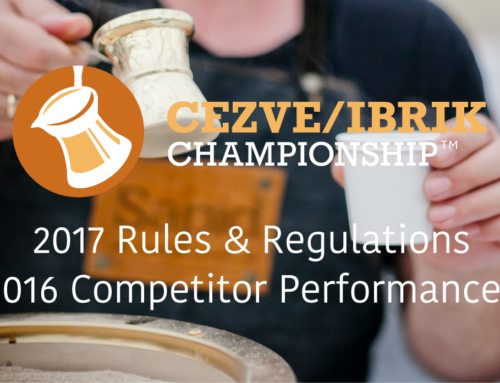 Full Rankings available to view here. 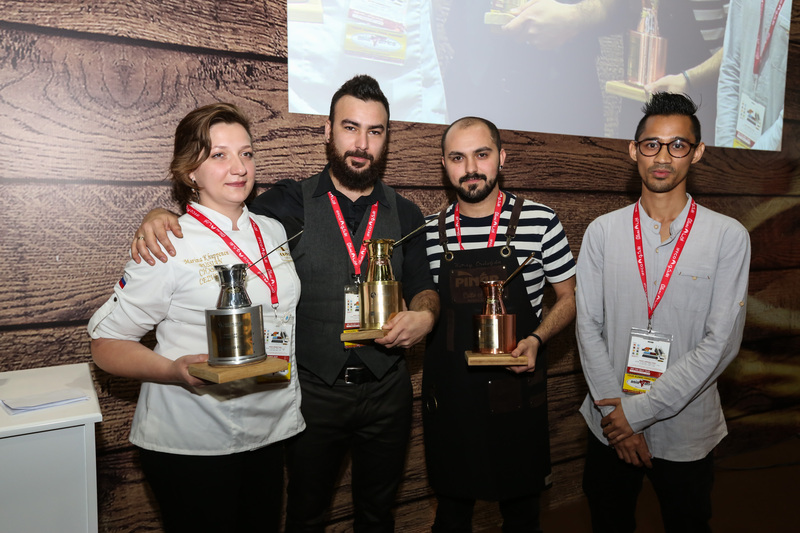 After two exciting days of preliminaries, four competitors continued on to the final round, which commenced with Koray Erdoğdu’s performance. Hot on his heels was Slava Babych, who delivered an impressive routine which audiences enjoyed immensely. 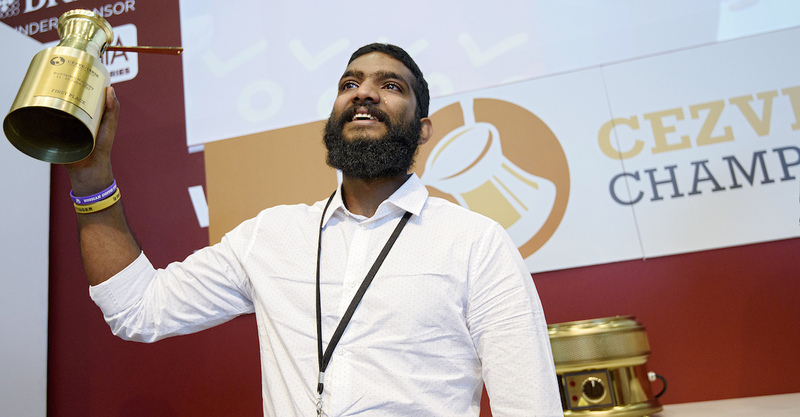 The day’s third performance came from Sumit Shrestha, before Marina Khyuppenen rounded out the finals, while being accompanied by a live saxophonist—a memorable moment for all at Gulfood. 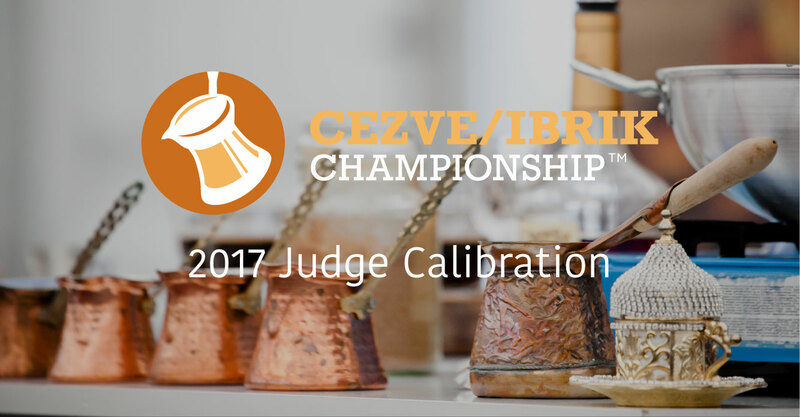 After some deliberation, the judging panel deemed Slava’s performance deserving of the top title of 2018 Cezve/Ibrik Champion. Just moments after the Awards Ceremony, it was remarked that Slava’s choice of coffee was top notch, and that he excelled in customer service. Also noted was the creativity that Slava showed in his performance gave him an advantage, along with the synergy achieved in his signature beverage. 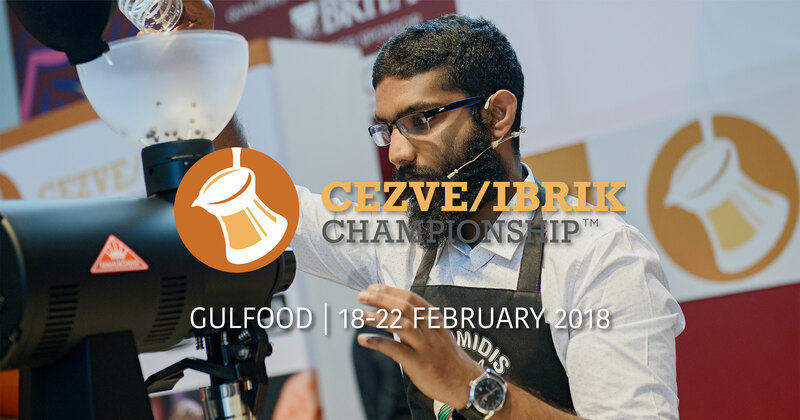 Alongside the Cezve/Ibrik Championship, some of the world’s best coffee competitors from competitions like the World Coffee Roasting Championship and the World Brewers Cup have been showcasing their skills through a series of interactive All-Stars features at the Brew Bar. 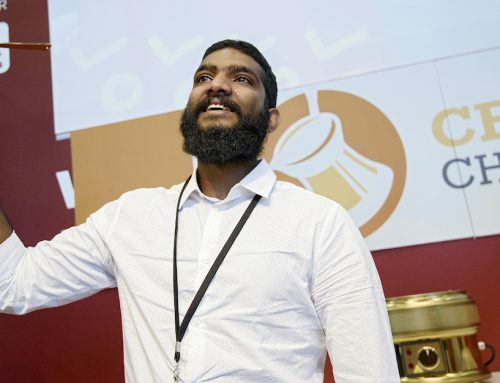 These continue with mystery drink challenges, interactive performances, meet-and-greets, and more, until the Gulfood show closes on Thursday, February 22nd. 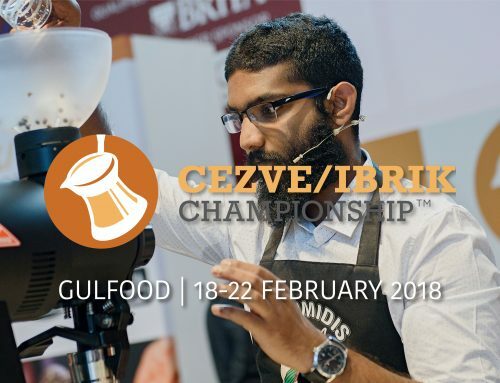 The 2018 Cezve/Ibrik Championship is title-sponsored by Loumidis Papagalos, and hosted by Gulfood.